Skin is the largest organ of the human body and is composed of multiple skin layers responsible for it’s health and function. Each layer has a specific function and contributes to the overall visible appearance of the skin. Chemical peels are a safe and effective treatment regiment designed to rejuvenate skin layers and improve its appearance and health. How can I get the best chemical peel? To achieve optimal results following a chemical peel treatment, it’s important to find a professional that you trust. Comprehensive skin evaluation with correct diagnosis is the key to success. Once your skin has been identified to be of a particular type and correct diagnosis has established, the next step is to begin designing a chemical peel that will solve the problem. Why do I need to do pre-treatment protocol before my peel? “Pre treatment” regimen prior to the actual peel is designed to prepare the skin for a rejuvenation treatment in order to yield the best possible results and decrease the downtime. What are benefits of Chemical Peels? 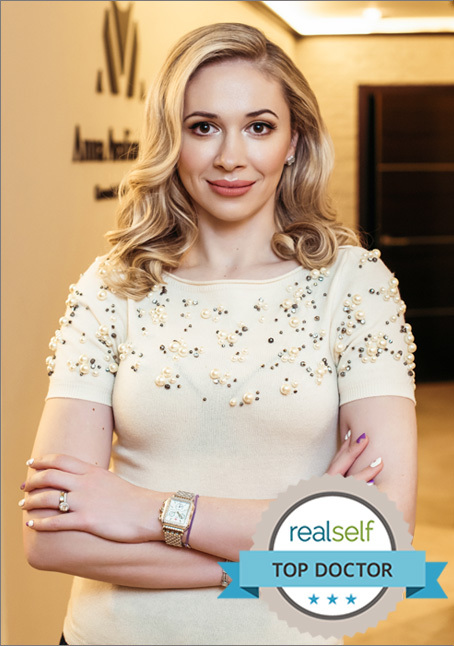 What types of peels does Dr.Avaliani carry? The office has many different types of peels to cater to all skin types. They range form mild to severe and can be hydrating to cater to dry skin or drying catering to oily skin. Do I have to peel after my chemical peel? Chemical peel does not always result in the skin peeling. Peeling is considered a side effect of the treatment rather than a mark of it’s effectiveness. If you don’t peel after your treatment, please be assured that that is absolutely normal response. What are the different chemical peel types offered by Dr.Avaliani? Each peel is designed to target specific treatment area in a specific skin layer. In general, the stronger the peel, the deeper it penetrates the skin, therefore, the recovery time will be a little longer. Dr.Avaliani’s office carries a full line of professional chemical peels to address multiple skin problems. Please call for your consultation today. The answer depends on the diagnosis and the desired effect. In general, 3-6 treatments spaced 4 weeks apart are recommended to restore the skin texture. The exact answer will be provided at the time of your consultation with Dr. Avaliani. Dr.Avaliani employs a SkinScope tool for her detailed physical exam to help directly visualize the degree of photodamage and to determine the skin type and design the treatment plan. During your consultation, you will be provided with a comprehensive Skin evaluation and a detailed treatment plan to address your concern including in office and and at home maintenance regimen. How long is the downtime after a chemical peel?